Supreme Court Senior Advocate K.K. Venugopal has been conferred the Padma Vibhushan, which is the second highest civilian award in the Republic of India. 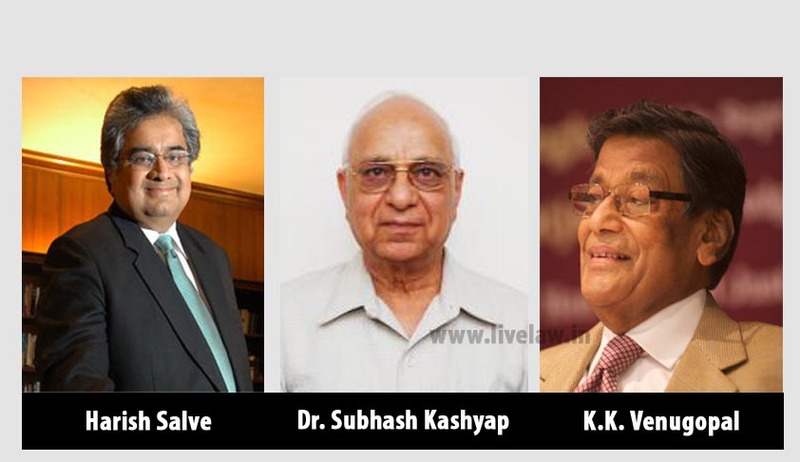 SC Senior Counsel Harish Salve and Constitutional Expert Dr. Subhash Kashyap have been conferred the Padma Bhushan. Mr. Venugopal is the son of the illustrious M.K. Nambiar, who famously defended the right to life and personal liberty in A.K. Gopalan v. State of Madras. He was enrolled as an Advocate in January 1954 and in 1972 he was designated as a Senior Advocate by the Supreme Court. He was the Additional Solicitor General of India during 1979-80. He was designated as a Senior Advocate by the Supreme Court of India in 1972 and was conferred with the Padma Bhushan Award in 2002. Mr. Venugopal has appeared for several game-changing cases like Pondicherry Assembly speaker election case, Karunanidhi Ministry’s dismissal during emergency period case, Babri Masjid case etc. His role in the case relating to the V.P. Singh Government’s decision in 1990 to implement the Mandal Commission’s reservation recommendations has been appreciated time and again. In that case, he strived hard to obtain a stay from the Supreme Court which helped stop the escalating student violence in the country. His achievements are not limited to India. Mr. Venugopal received the "Grand Cross" award and medal from the Bar Association of Bagota, Columbia, as well as a medal and citation from the Bar Associations of Buenos Aires and Matanza, Argentina, in recognition of his achievement in human rights and legal multi-lingualism and multi-culturalism. Dr. Subhash Kashyap was the Secretary General of the 7th Lok Sabha, 8th Lok Sabha and 9th Lok Sabha and Lok Sabha Secretariat (Lower House of Parliament of India) from 1984 to 1990. Dr. Kashyap has authored around 60 books, edited over 50 volumes and contributed to prestigious Journals and leading Dailies in India and abroad, authoring over 500 research papers and articles. Recipient of many distinctions and honors within and outside India, he was U. S Congressional Fellow of the A.P.S.A. (Washington D.C.), UNDP Fellow, Fellow of the Academy of American and International Law (Dallas) etc. He was awarded the Honorary title of Commander and degree of H.O.A.S.F (Honorary Order of the Academy of San Francisco) for services in the field of constitutional law. He received the Motilal Nehru Award twice and several State Prizes for best works in law and political science. He has been a Jawaharlal Nehru Fellow and received 'Vidur Samman', 'Rajiv Smriti Samman', 'Vidhi Seva Samman', 'Vishist Seva Award' and 'Great Son of the Soil Award' among several others. Mr. Salve’s expertise spans from Constitutional Law, Commercial Law to Taxation Law. Before joining the Bar, Mr. Salve practiced as a Partner in a firm of chartered accountants, on the taxation side. He started his legal career by joining the Chambers of the former Attorney General of India, Soli J. Sorabjee. He then set up an independent practice in 1986 and was assigned as a Senior Advocate in 1992. He was the Solicitor General for India from 1999 to 2002. Since the time of their inception of the Padma Awards in 1954, these awards are announced every year on Republic Day. The award is given in three categories, namely, Padma Vibhushan, Padma Bhushan and Padma Shri. The Awards are given in various disciplines/ fields of activities, viz.- art, social work, public affairs, science and engineering, trade and industry, medicine, literature and education, sports, civil service, etc. ‘Padma Vibhushan’ is awarded for exceptional and distinguished service; ‘Padma Bhushan’ for distinguished service of high order and ‘Padma Shri’ for distinguished service in any field. Since 1954, 13 experts in the Law and Public Affairs field have been awarded with Padma Vibhushan Award. This year the President of India has approved conferment of Padma Awards to 104 persons as per the list below. The list comprises of 9 Padma Vibhushan, 20 Padma Bhushan and 75 Padma Shri Awardees. 17 of the awardees are women and the list also includes 17 persons from the category of foreigners, NRIs, PIOs and 4 posthumous awardees. Read the Press Note here.